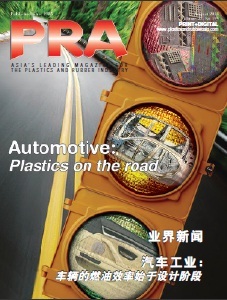 Borealis and Borouge have launched Fibremod fibre-based compound polypropylene (PP) compounds for the automotive and the appliance industry and also started up a new long glass fibre line in Monza, Italy. The customised glass fibre reinforced PP solutions are bringing lightweight, extra strength and impact performance to a wide range of applications. They also support more environmentally-considerate production by reducing processing temperatures and energy requirements when replacing alternative solutions such as polyamide (PA). Austrian firm Borealis’ proprietary Borstar process technology enables the tailoring of the PP compounds to required stiffness aspects. For example, a Fibremod solution was behind Volkswagen’s (VW) decision to become the first original equipment manufacturer (OEM) to switch from glass reinforced polyamide (PA) to SGF PP from Borealis for its air intake manifolds (1,4/63kW and 1,6l/77kW engines). The use of Fibremod created a 15% weight reduction, acoustic performance and production cost efficiency for VW and its Tier One supplier. Today, Fibremod compound solutions are used in a variety of end uses, such as for instrument panel carriers, front-end modules as well as different under the bonnet and appliance applications. PP-LGF is a group of long glass fibre reinforced products which are produced in the new Monza plant by pultrusion to achieve increased fibre length in both pellets and final parts. The glass fibres are typically arranged parallel in the pellets having all the same length as the pellet itself. The Monza production facility is the specialty plant for Borealis, where smaller lines allow for more flexibility and Nimblicity. Borealis has 20 years experience in developing and producing this type of PP material and has developed its own proprietary processing technology for production, in terms of fibre impregnation and the wide possibility of fibre and matrix combinations for tailor-made solutions. The product portfolio covers glass fibre contents from 20% to 60%, with grades customised to provide for the highest stiffness and strength at elevated temperatures, with energy absorption in high speed deformation. 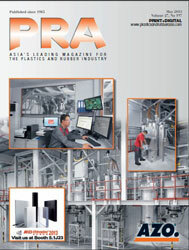 Typically PP-LGF grades have flowability for smooth processing and uniform shrinkage behaviour.